Shortly after Arlene Foster became the new leader of the Democratic Unionist Party in 2016, her fellow DUP MLA Edwin Poots caused a media stir by insisting that his leader’s most important job has been and will remain that of a wife, a mother, a daughter. While condemnation was justifiably swift, there was a little interrogation of why Poots was so anxious to insist on such regressive gender stereotypes. The answer, I suggest, lies as much in the demands of powersharing as it does in Unionism’s historical construction of leadership as masculine. Modern Protestant, Unionist identity is still ghosted by those political leaders that came to define resistance to Home Rule. The manliness of figures such as Edward Carson and James Craig was portrayed in the print media and the popular imagination as representative of a distinctive Ulster Protestant identity in Northern Ireland. Carson, for example, was depicted as Ulster’s King-At-Arms: an exemplary combination of militant masculinity, chivalric loyalty, and temporizing virtue. Others, of course, disagreed. St John Ervine, the Belfast-born, Protestant writer, saw him as a “stage Irishman” too “quick-tempered, impulsive, rash in his speech” to rule. 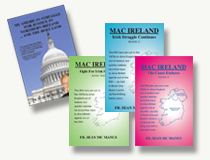 The guiding ideal behind both positions was that the supposed emotionality of opposing factions, colonial subjects and women required the temporizing law of the stoical and self-controlled Ulsterman. Anyone claiming to represent the Unionist tradition had to marshal the rhetorical tropes and styles of this “golden age” of Ulster Protestant leadership. Ian Paisley, for example, adapted the Carsonite mold throughout his career, posing in front of his statue outside Stormont in 1985. If the statue itself exemplified unionist integrity and hardness – the fantasy of a bounded, unchanging and enduring body politic – then Paisley offered himself as its latest incarnation. His use of an inherited repertoire of gestures, oratorical tropes, and forms of comportment was designed to symbolize the continuity of governmental power. This conjuring with nostalgia for Ulster’s “golden age” served a strategic purpose: it offered a sense of security in the face of constitutional change. The 1998 Belfast Agreement caused anxieties within unionism because it could be interpreted both as securing the union and as fatally undermining it. Less remarked upon, however, was how the agreement challenged constructions of national identity. Both nationalism and unionism tend to imagine sovereignty through images of masculine stoicism and self-discipline: the heroic dead men who risked life and limb to ensure the endurance of the symbolic social body. But powersharing drew on a key lesson of the Troubles: that identity is rooted not in the territory, but in the relations between persons. Since the identity of a community of friends is dependent on a community of enemies, nationalism, and unionism are intimately bound together. That each is defined against the other implies not separateness but co-dependence. The violence was a disavowal of this primary intimacy. Paisley, however, interpreted this sense of intimacy as threatening the macho independence of unionist identity. When in 2001, David Trimble was narrowly re-elected as the first minister, relying on the votes of the cross-community Northern Ireland Women’s Coalition, Paisley condemned him. Trimble remade the brash military man in his own image to suggest that, contra Paisleyism, the restraining influence of an abstract masculine rationality, rather than appeals to sentiment, was the way forward. In 2001, he declared that the DUP possessed “an emotionalism which rail [ed] against reality.” To be emotional was to be subject to, rather than in control of, one’s surroundings. This division between the pacified bourgeois intellect and the hysterical and excessive Paisley was exemplified in 2001 when the newly re-elected first minister calmly gave a press conference as other members of the Assembly fought each other. Trimble’s temperate demeanor and minimization of gesture demonstrated the ideal of a heroic rationality that would manage risk through the suppression of unmannerly passion. At such moments he positioned himself as the custodian of Northern Ireland’s post-conflict social order. Even if Paisley’s strategies were ultimately successful, both he and Trimble shared the guiding assumption that a cluster of masculine traits – mastery, confidence, self-reliance – could offer the electorate something close to their shared desire for control and sense of distinctive community character. For both, the performance of masculinity offered a means of rearticulating unionist identity in a context where its boundedness was threatened. Political enemies could be used as effeminate counterexamples to one’s capacity to lead: Trimble’s theatrical “cross-dressing” legitimized Paisley’s plain-spoken dependability; Paisley’s emotionality justified Trimble’s bank-clerk managerialism. Unionism’s continued deployment of such gender stereotypes, rather than being an irrational turn to myth, was a strategic response to a complex political context that supposedly endangered their community’s integrity. This persistent and shared association of masculinity and political subjectivity, while not the sufficient cause of female underrepresentation at Stormont, helps to explain why women have often been marginalized in Northern Ireland’s political forums. In her book Women’s Work, Kate Fearon recalls how throughout the 1998 multi-party talks unionist politicians repeatedly interrupted speakers from the Women’s Coalition. During the Northern Ireland forum, Peter Robinson told Monica McWilliams to “cool her temper” while Pearl Sagar, another representative, was urged to “sit down and shut up” by Jim Rodgers of the UUP. Because a masculine speaking subject was structurally prioritized, women – constructed as emotional, theatrical, deviant – met hostility. Despite this, the Women’s Coalition, in acknowledging that both sides marginalised women, recognized that competing nationalisms ironically end up mirroring one another in the very effort to demonstrate their independence. Amid contemporary injunctions to take back control, the DUP would do well to remember this lesson, for identities, whether national or otherwise, are always vulnerable to the warp and weft of the relations that constitute them. Alexander Coupe is an AHRC-funded Ph.D. student in the Department of Theatre and Performance at Goldsmiths, University of London. He is the co-founder of the Chase Gender, Sexuality and Violence Research Network and has been published in Études irlandaises on the performance of trauma on and off the Northern stage. This article forms part of #Agreement20, an academic, public engagement project organized between the University of Salford and King’s College London, featuring a conference hosted by the Irish World Heritage Centre in Manchester and funded by the Department of Foreign Affairs and Trade on April 6th and 7th, 2018.